Dental accidents occur when least expected. 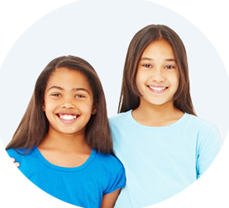 To help avoid confusion, it is best to be familiar with your child's health history and vaccinations. Tetanus vaccinations are sometimes needed in certain cases of trauma (if they have not been given previously). If your child is unconscious, please find help and call 911 immediately. Check your child and try to find out what happened and what was harmed. Apply pressure with clean towels or gauze to bleeding sites. Cold compresses also help. Broken Tooth: An evaluation is necessary to determine if the fracture caused an exposure to the tooth's nerve. This requires immediate attention. If the broken tooth is a permanent tooth, try to find and save the broken piece. This is very important because it can be reattached. Dislodged Tooth: If your child has dislodged a tooth from its place but not knocked out, apply gauze to bleeding areas and call our office immediately. 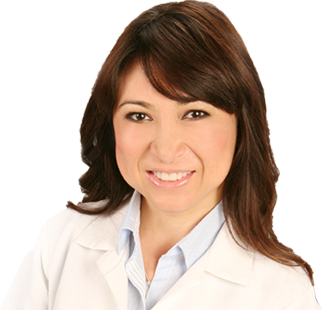 We will evaluate the injury and discuss the proper course of treatment with you. Permanent teeth will require repositioning/stabilizing promptly. Try to find the tooth. Handle the tooth only by the crown (the portion you would normally see in the mouth) and not the pointed root. Be careful not to scrape the root surface because the tissues that cover it are what help the tooth survive the injury. Your child can rinse with water. If the tooth is dirty, you can rinse it in water briefly. The best way to do this is to use a small container with water in it. If a sink is used, please place the drain stopper first. The tooth must be kept moist. The best way to preserve the tooth is to reinsert it in its socket even if you are unable to seat it in all the way. Have your child bite on a folded piece of gauze to hold the tooth in place. The next best option is to store the tooth in a special solution created to preserve it. This solution is found in containers called "Save A Tooth" (http://www.save-a-tooth.com) and should be available at schools who participate in sports. If you cannot reinsert the tooth, and no preservative pack is found, place it in milk. The final option is saliva. If the patient is old enough, the tooth may be held inside the mouth by the cheek. The child must be seen immediately to stabilize the tooth. Time is a critical factor in the success of treatment. Try to find the tooth. Clean your child's mouth with a soft wet cloth. Biting on a piece of gauze will help stop the bleeding. 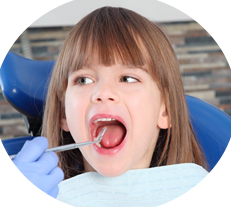 It is important to have your child examined to determine if the whole tooth fell out or if only part of it did. We will need to evaluate possible injury to the underlying permanent teeth. 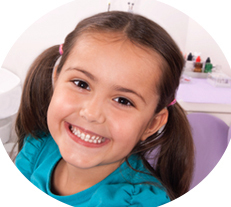 Knocked out baby teeth are usually not replanted because of the potential for subsequent damage to developing permanent teeth. If your child is complaining of pain in a certain area of the mouth, try to locate where the pain is. Most children are able to point to the pain source. The source is not always a tooth. Please keep in mind that your child could have bitten the cheek, tongue or lips. Even if the injury went unnoticed at the time it occurred, it can still be painful while the site is healing. Sometimes a canker sore (white spot) can be seen in the area where the injury occurred. Canker sores can also occur spontaneously and may be quite painful. These injuries are usually self-limiting but it is important to have your child evaluated to rule out other possibilities such as dental abscesses or systemic diseases. 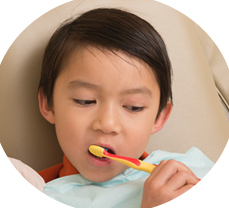 If your child is pointing to a certain tooth that is causing pain, clean the area thoroughly with warm water. You can gently use dental floss to remove food debris. A cavity could be the cause. Sometimes, present cavities may not be visible except on a dental x-ray. Another possibility is a problem under an existing filling. You may give your child children's Tylenol or Motrin according to the package directions. However, a comprehensive examination will be required to properly evaluate the situation. Bleeding usually occurs after a baby tooth falls out. Minor bleeding stops within a couple of minutes. If it continues, have your child bite firmly on a clean piece of gauze for 15 minutes. The pressure usually stops the blood. This process can be repeated with new gauze every 15 minutes. Please contact our office if you feel that the bleeding has gone on for longer than normal. If a broken appliance can be removed easily, please remove it. If it cannot be taken out, cover the sharp or protruding portion with cotton balls, gauze or soft chewing gum (sugarless is best). Please schedule an appointment. Although we recommend you inform us immediately if an existing space maintainer becomes loose, this situation is not considered a dental emergency.